Song Blend® Nyjer Seeds are not your ordinary seeds. 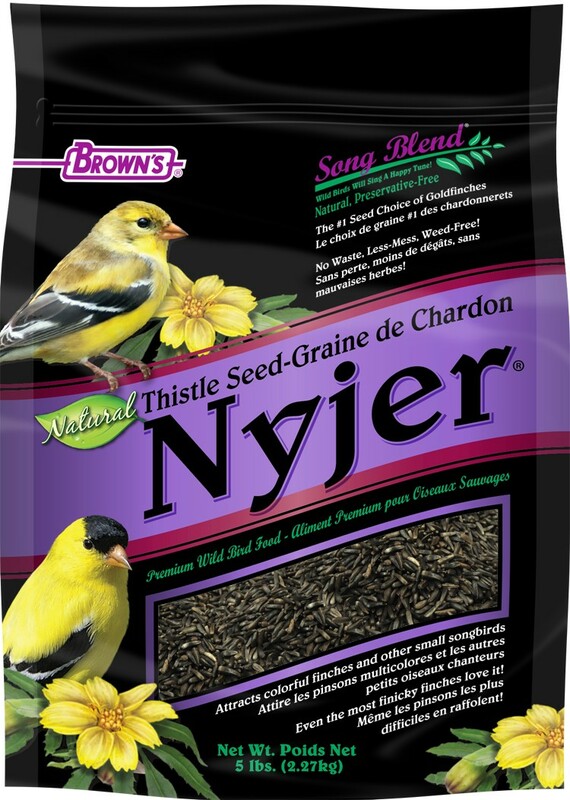 Nyjer is clean, weed-free, garden-safe, and the most desired seed of finches and small birds. 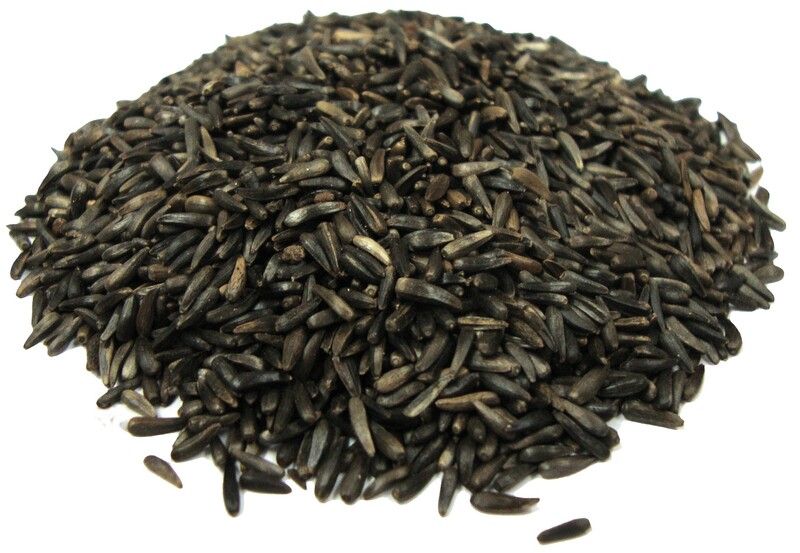 Nyjer is also rich in the nutrients wild birds require, producing over 35% fat and 20% protein. Song Blend® Nyjer Seeds are not your ordinary seeds. 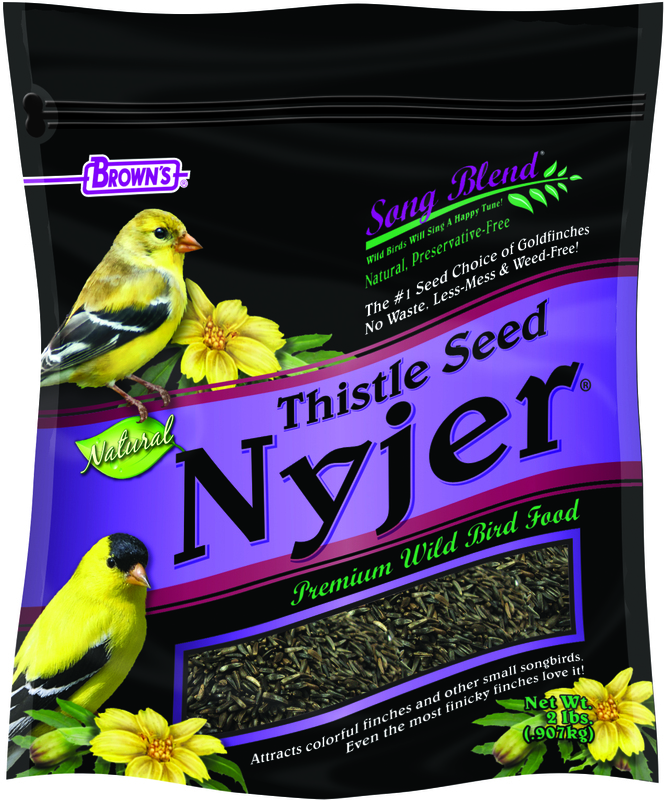 Nyjer is clean, weed-free, garden-safe, and the most desired seed of finches and small birds. 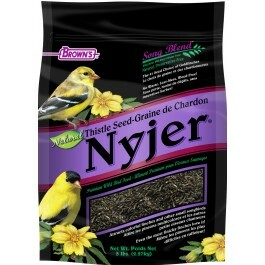 Nyjer is also rich in the nutrients wild birds require, producing over 35% fats and 20% proteins. Sized-Right Foods! Finches and other small birds have tiny beaks. Nyjer is just the right size for them to consume. Weed-Free & Garden-Safe! Nyjer is great for gardens, since there are no unwanted weed seeds to germinate. Nyjer is Filler-Free Too! Nyjer is an economical seed choice; with absolutely no fillers, there’s less outdoor cleanup and more edible food per pound.